New feature: neighborhood drill down! A brief overview of one of The Rapidian's newest features: NEIGHBORHOODS. Rapidan reporters, help us tag your ariticle archive with neighborhood level data! How do I access my past articles? There is a list of every article you have authored on your account profile page. Just go through your list one by one: it should take 5 - 10 minutes, tops. This is a quick update on one of The Rapidian's newest feature: neighborhood drilldowns. This one is a little bit behind the scenes, but is an important step for the future of connecting with local content on The Rapidian at the neighborhood level. Currently, you can browse stories by the broad city quadrants we are all familiar with. That is useful, but not really as hyperlocal as it could be. Over the last year and a half we have been asked about the ability to sort and browse stories by neighborhood. Well, good news: That ability is coming, along with a whole bunch of other things. But first, we need a little help. We have already added the ability to tag your stories by neighborhood. We launched this specific feature a little ahead of the game to help reporters get used to adding more robust geographic information to their stories, and so that there would actually be something there when we launch the neighborhood-level sort in the very near future. Many of you have added stories to The Rapidian in the past. That's great! But, we need you to do us another solid - we need you to revisit them once more to select the relevant neighborhood. It's really simple! Wait, so what neighborhood is my story in? Sometimes it's difficult to tell exactly what neighborhood a story takes place in. But, never fear, the Community Research Institute (CRI) to the rescue! 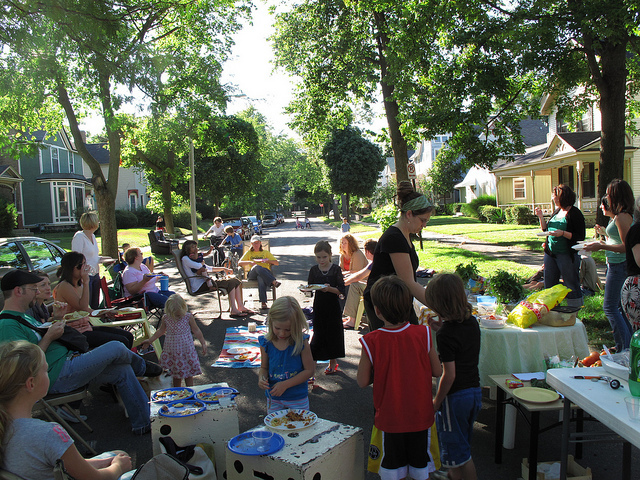 CRI, which is a research facility at the Johnson Center for Philanthropy at Grand Valley State University, has developed the definitive resource for neighborhood information in Grand Rapids, with profiles for every neighborhood in Grand Rapids and Muskegon (as well as several other geographies). You can look at the neighborhood profiles to discover the neighborhood your article belongs. Just select the correct neighborhood and, bam, you're good to go! It's as easy as that. We realize that many stories on The Rapidian have relevance across many neighborhoods and several city quadrants. Never fear, simply check all that apply - that's why we used checkboxes. 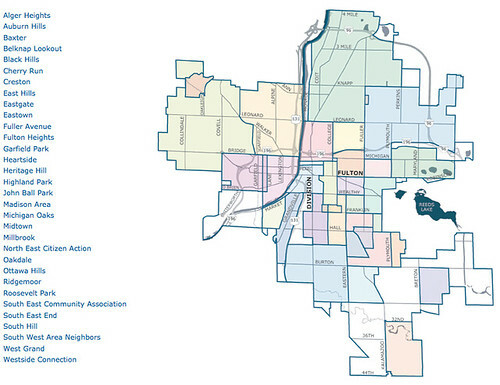 Additionally, we know that not every one of Grand Rapid's 32 neighborhoods fits neatly into a quadrant. Just select the quadrant your story belongs in and go from there. Help us make this transition! The easiest way to move all of the articles on The Rapidian into the brave new neighborhood drilldown feature is for each reporter to update his or her own stories. It won't take that long, I promise! But if you have any questions about the new neighborhood drilldown feature, please feel free to get in touch with a comment below or by emailing us at [email protected]. And, as with any new feature, please try it out and let us know how it goes for you. This change might not seem like much now, but it will have a big impact down the road!